"Acupuncture Dublin | D2 | Dublin 2 Acupuncture | Ballsbridge | Ranelagh | Blackrock | Sandymount | Donnybrook | Stillorgan | Monkstown | County Dublin"
Inner Light Acupuncunture, Parkmount, Newtownpark Avenue, Blackrock , Co Dublin. Acupuncture is the oldest continuously practiced medical system in the world and is now the most widely used drug free healthcare treatment worldwide. It is recognised as a safe treatment by the World Health Organisation and is very effective in the treatment of many conditions. To view a detailed list of these conditions please click here. With over 2000 years of practise and development, Traditional Chinese Medicine has evolved into a complex medical system used to diagnose and treat illness, prevent disease and promote overall well being. The principles of Traditional Chinese Medicine are based on promoting the free movement of vital energy known as Qi which flows through the body in established channels or meridians. If there is a blockage or stagnation of Qi in any of these meridians this will cause an imbalance and ill health will arise. Diagnosis is based on a holistic approach considering all aspects of the patient to treat the root cause of the problem. 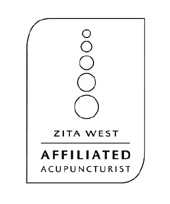 The aim of treatment is to relieve any blockages of qi by inserting very fine needles into selected acupuncture points to promote the free flow of qi and enhance the bodys own healing process. Sterile disposable needles are used and strict standards of hygiene are maintained at all times. Acupuncture may be combined with other elements of Traditional Chinese Medicine such as Cupping, Moxibustion, Tui Na or Chinese Herbal Patent Medicine. For information on Yoga and Pilates classes see www.innerlightyoga.org.